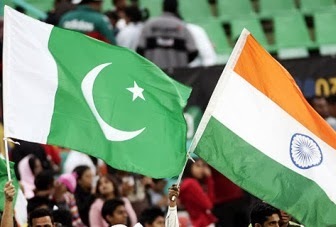 Pakistani and Indian hackers have locked horns after two sides conduct a spate of cyber attacks. India and Pakistan are at war – in the cyber space! According to reports, Pakistani hackers defaced over 2,000 Indian websites on Republic Day followed by Indian hackers defacing more than 100 Pakistani websites. The Pakistani websites that were hacked showed the message "Hacked by Indian Cyber Rakshak". The defacement of Pakistani websites began on Tuesday night and continued through Wednesday, add reports. Earlier, Pakistani hackers defaced about 2,118 Indian sites including of the Central Bank of India and the website of Bollywood actress Poonam Pandey. Most of the Indian sites were defaced by Pakistani hackers using handles called "StrikerRude", "KashmirCyberArmy", "PakCyber Expert", "HUnter Gujar" while the Operation was named as "#OP26jan". The Indian websites have regularly been targeted by hackers from across the world. According to reports, prior to Republic Day attack, about 1,400 Indian websites were hacked. The website of model-turned-actress Poonam Pandey, which was also among the hacked sites displayed messages like “Pakistan Zindabad,” besides “your site security is compromised” and “Patch your site”. A group identifying itself as “Team Madleets” claimed responsibility for the hacking. According to sources in Global Cyber Security Response Team (GCSRT), Bangalore, the website of Central Bank of India had also been targeted by the Pakistani hackers. The bank’s website remained offline even on Tuesday night. He said most of the websites had been defaced by Pakistani hackers going with the handle “StrikerRude”, “KashmirCyberArmy”, “PakCyber Expert”, “HUnter Gujar” and the Operation was named as “#OP26jan”. The GCSRT member said Republic Day’s hacking of a total of 2,118 websites comes two weeks after 1,400 Indian websites were hacked. A majority of the hacked websites were being restored, he added. ZDNET : Over 2,000 websites from India and Pakistan have been defaced so far in the past two days, as hackers from both countries duke it out in cyberspace. More than 100 Pakistani websites were defaced on Wednesday, apparently in retaliation for the defacement of more than 2,000 Indian websites by Pakistani hackers on Republic Day, according to The Hindu. The defaced websites carried the message "Hacked by Indian Cyber Rakshak", and the attacks are expected to continue, cybersecurity experts told the news agency. The retaliatory defacement of Pakistani websites began on Tuesday night and continued through Wednesday, according to the Global Cyber Security Response Team (GCSRT). The Hindu noted that on Republic Day, Pakistani hackers defaced 2,118 Indian websites, including those of the Central Bank of India and the website of model-turned-actress Poonam Pandey. Most of the Indian websites were defaced by Pakistani hackers using the handles "StrikerRude", "KashmirCyberArmy", "PakCyber Expert", "HUnter Gujar" and the Operation was named as "#OP26jan", noted the agency. Just two weeks earlier, 1,400 Indian websites were hacked.